A piping crew installs a trench box along the southbound side of the Extension, part of the project’s storm-water management system. 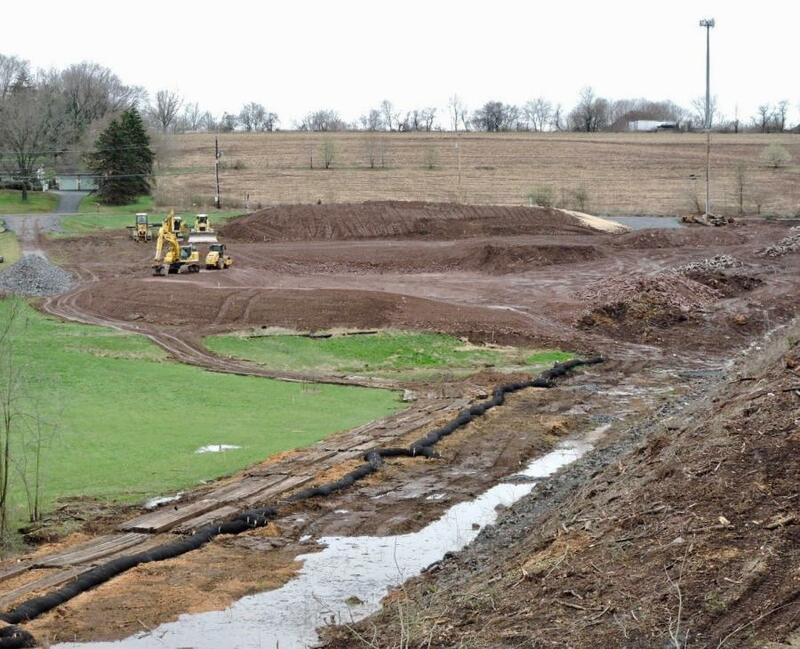 The Pennsylvania Turnpike Commission began widening and reconstructing 7 mi. 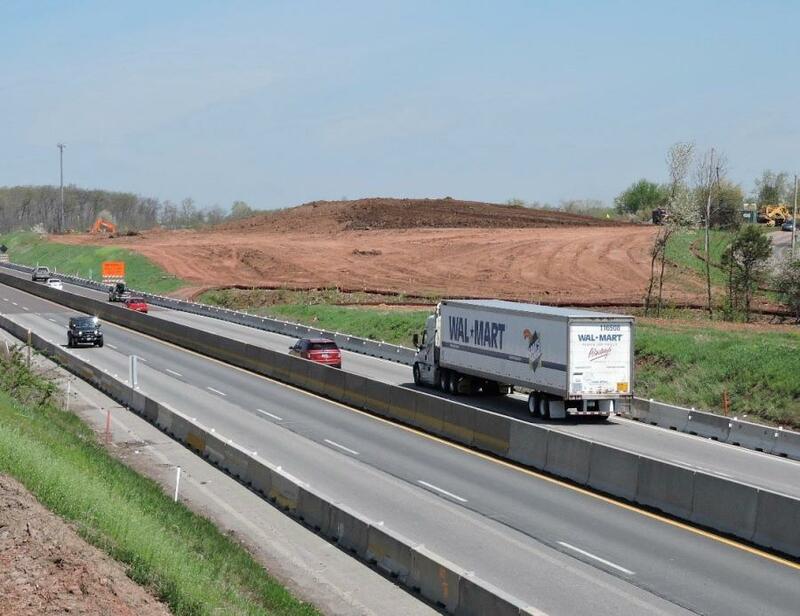 of the Northeastern Extension of the PA Turnpike between Milepost A31 and A38 in Lower Salford, Franconia and Salford townships in Montgomery County earlier this year. 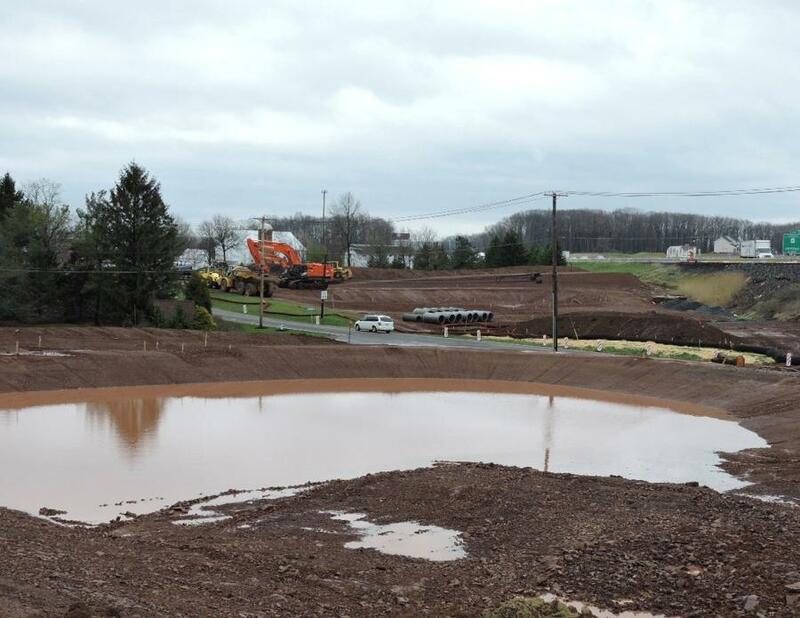 The work area is situated between the Lansdale (Exit 31) and Quakertown (Exit 44) interchanges. This $225 million investment is a continuation of the Commission's long-term, 100-percent toll-financed initiative to rebuild, upgrade and modernize “America's First Toll Road”, its bridges and facilities. 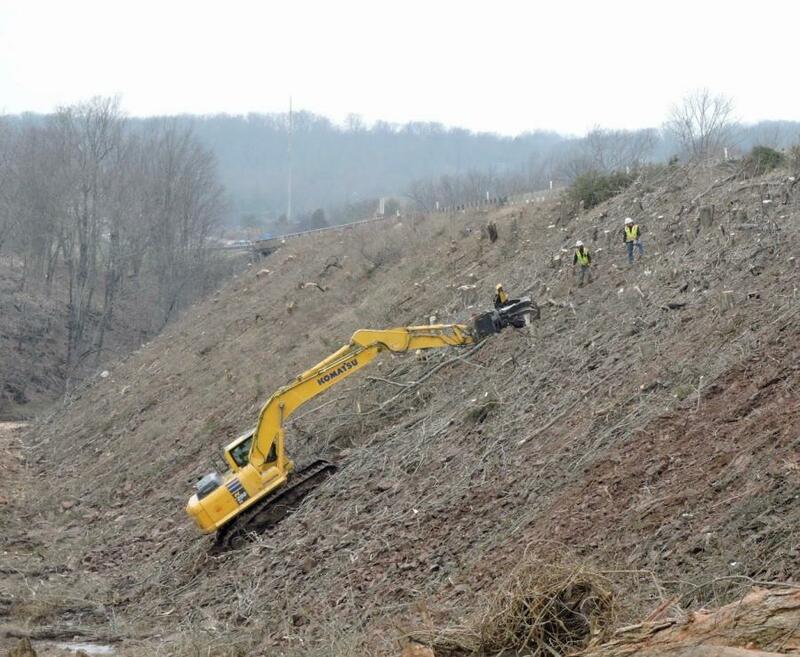 This current improvement project extends the widening and rebuilding of more than 10 mi. of the Extension that finished in mid-2017 between the Mid County and Lansdale exits. The Pennsylvania Turnpike was planned in the 1930s to improve transportation across the Appalachian Mountains of central Pennsylvania, opening on Oct. 1, 1940 between Irwin and Carlisle. Touted as the first long-distance controlled-access highway in the United States, other toll roads followed its lead and the Interstate Highway System was built, according to Dakelman & Schorr's book The Pennsylvania Turnpike. This section of the Extension, from just south of the Fretz Road bridge to just north of the Clump Road bridge, will be completely reconstructed from the ground up and widened from two to three lanes in each direction with 12-ft. right and left shoulders. The new and existing lanes will be composed of an asphalt pavement base topped by an asphalt riding surface. The project will be built in two major construction stages (Stages 2 & 3), with a brief initial stage (Stage 1) to prepare the work zone. The northbound and southbound Extension is expected to be open to three (3) lanes in each direction by late fall 2020. The entire project will finish by early summer 2021. 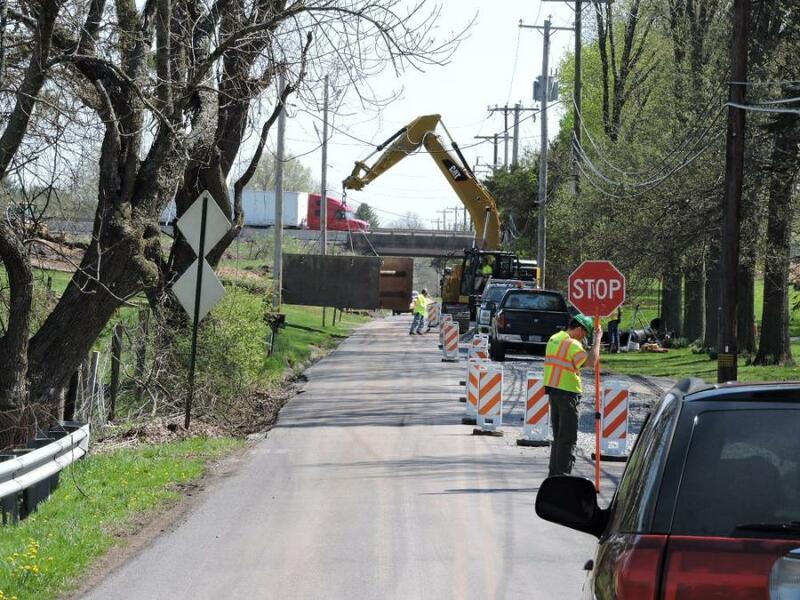 Bridge-widening will take place over Schoolhouse Road, Creamery Road, Perkiomen Creek and Dietz Mill Road. The outside sections of the new bridges will be built during Stage 2 widening. The inside sections (existing bridges) will be demolished and rebuilt during Stage 3 reconstruction. Five existing overhead bridges along the corridor were replaced in advance to accommodate the future widening of the Turnpike from four to six lanes: Fretz Road, Harleysville Pike/Route 113, Morwood Road, Ridge Road/Route 563, and Clump Road. The Turnpike also will install a number of Intelligent Transportation Systems (ITS) components as part of this project, including electronic message signs (Dynamic Message Signs) that are used to alert motorists of incidents, lane closures and other important traveler information. Early-stage work is under way with crews placing work area signs and other traffic control devices; installing environment controls; and clearing vegetation from the right-of-way adjacent to the northbound and southbound lanes. Excavation, including removal of significant sections of rocky embankment from several areas where the original Extension cut through the rolling hills of northern Montgomery County, and installation of storm water drainage pipes and inlets will start the process of building new northbound and southbound pavement. Crews will replace the outer sections of the bridges so that they are wide enough to carry the new lanes and shoulders overhead. The inside segments of the overpasses will be replaced along with the existing pavement during a later stage of the project. As work progresses into summer, construction of sound barrier wall foundations and support posts also will begin. The Turnpike is installing more than 2.5 mi. of sound barrier walls as part of the project. The walls will have Ashlar Stone textured architectural patterns on both sides. The roadway side of the walls will be painted with a uniform, aesthetic coating. The side of the walls facing residents will be painted with aesthetic coatings in colors chosen by residents at those locations. Although no long-term detours are planned, the contractor will be working on these bridges for the duration of the project. Due to the nature of the work and narrow road width approaching and under the bridges, motorists may encounter flagger directed single lane conditions at each of those work areas weekdays between 9:00 a.m. and 3:00 p.m. and during any weekend construction operations. A companion project to widen and reconstruct the Extension between Milepost A38 and A44 and reconstruct the Quakertown Interchange remains in the design stage of project development, with mainline construction tentatively scheduled to begin in 2021.